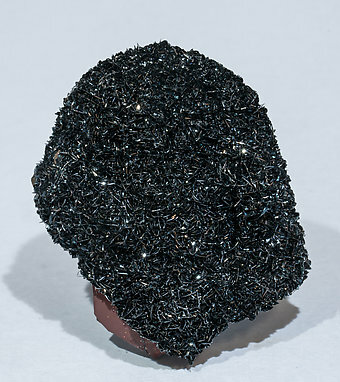 Druse of very sharp lenticular Hematite crystals that are extraordinarily bright and are coating a botryoidal growth of primary Hematite. An English classic, very typical for the locality. Floater group of very sharp laminar crystals with very well edged parallel growths and very bright surfaces. 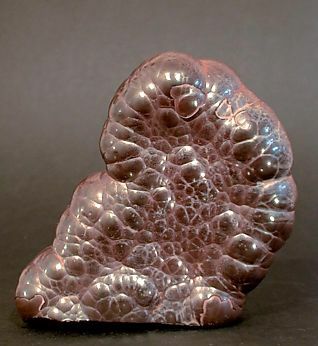 Double rosette growth of laminar Hematite growths with very well defined faces, some partially rough edges and very bright pinacoidal surfaces. 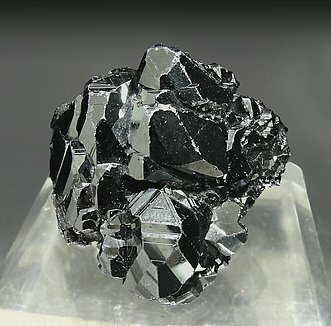 Group of platey and very aerial Hematite crystals. They have a curious outline with a rectangular aspect. 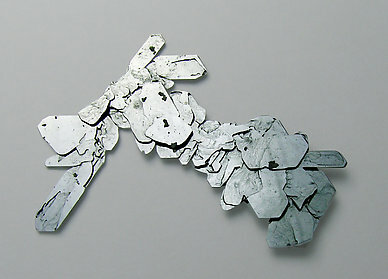 They are complete, very bright and are with small and transparent rhombohedral Magnesite crystals. 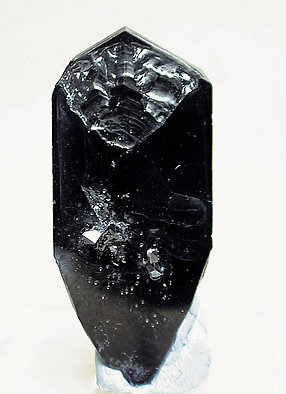 Very sharp and fine crystal with very well defined faces and edges, extraordinarily bright and on a bit of matrix. 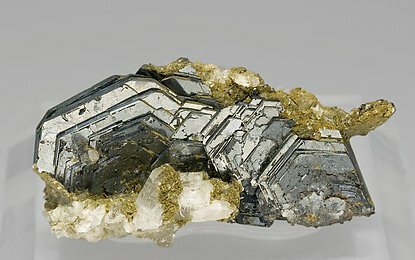 Deeply striated pseudocubic crystal with small parallel growths on its faces. Luster is excellent. 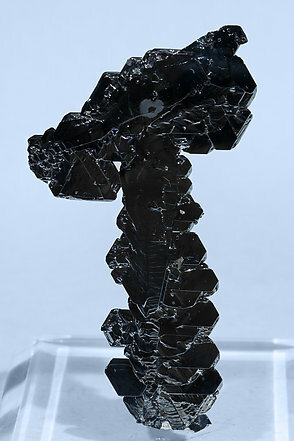 Group of very complex crystals, extraordinarily rich in faces, with delicate striations and triangular forms of growth. It is very bright. 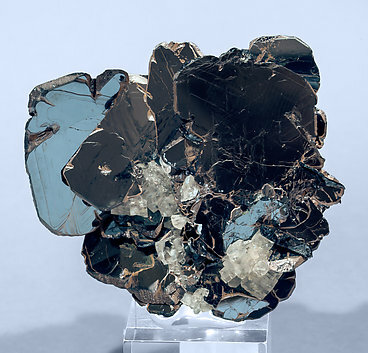 Martín Oliete always selected specimens for their beauty, as in this spectacular Hematite.Just nice, but nice! A classic. 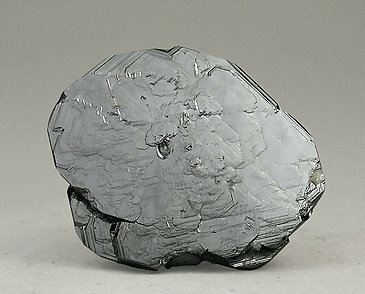 The lenticular crystals, which are very flat and intensely brilliant, have formed an overall flat surface. The forms of the crystals are perfectly preserved and have no damage or cracks. 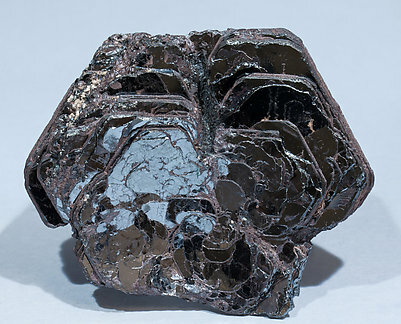 Complete floater aggregate, almost spherical and rosette shaped (we could name it an “iron rose” if Alpine). 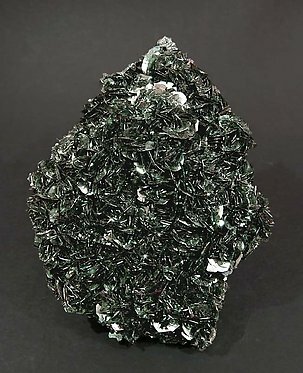 The crystals of the aggregate are thin laminar and very bright. 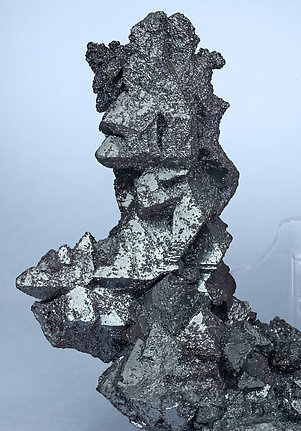 Floater group of very thin tabular crystals of Hematite. Extraordinarily bright, they are very rich in side faces, all them perfect. 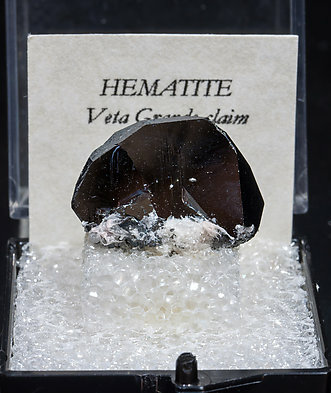 From the thousands of specimens of Hematite that have come from this locality just a few specimens have the great quality of this one. Nice specimen, very sharp, enlongated and extremely flattened. Faces on the dejes are well defined and have a good luster. A floater group of laminar crystals which form multiple parallel growths. Both the brightness and the sharpness of the crystals are extraordinary. The specimen is from an accredited collection. We'll send the label together the specimen. Epitaxial growths of twinned deep red and bright Rutile crystals on a thick tabular crystal of Ilmenite pseudomorphed by Rutile and Hematite. 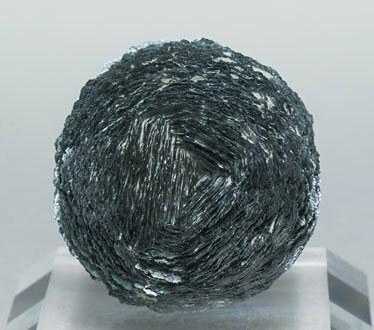 Very aerial parallel growth, on matrix, of very sharp Hematite crystals (after octahedral Magnetite) with very well defined skeletal growths, extraordinarily bright and partially coated by small recrystallized lenticular Hematite crystals. The sample is from an area currently defined as a National Park so it is not allowed to collect there any more. 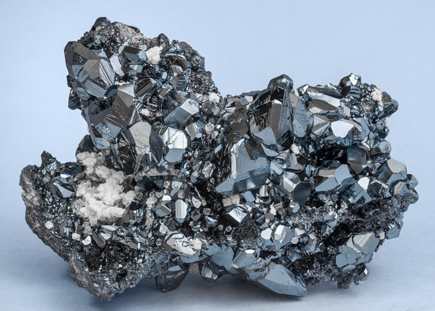 Very esthetic group of twinned Hematite crystals with very well defined faces, with the typical shape for this area, extraordinarily bright, on matrix with small White Barite coatings. We note that being from the Wessels mine and not from the N’Chwaning mine it is even more exceptional. Of high quality, as is usual with samples from the Desmond Sacco collection. 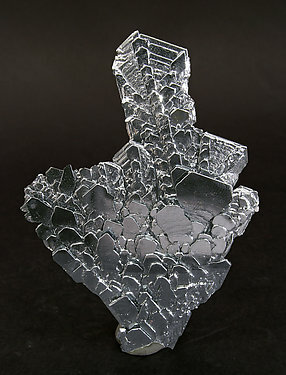 Very aerial Hematite crystals disposed on a Calcite matrix (acid-treated). 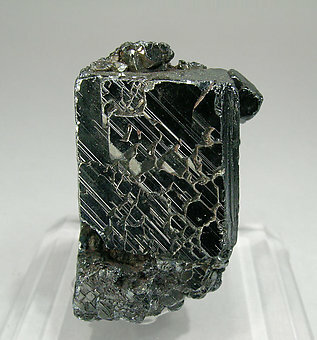 One can clearly see the laminar intersected Hematite growth that gives a rosette aspect to the group, partially covered by a second phase of small Hematite crystals. A curiosity from a not well-known locality. 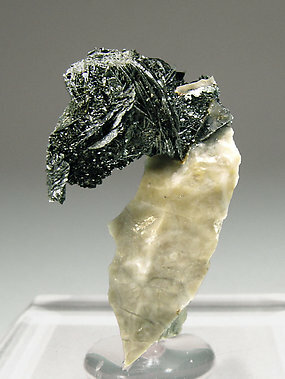 Twinned Hematite crystal with a very good luster and very well defined faces and edges, positioned esthetically on its matrix of white Calcite that gives a nice contrast to the piece. 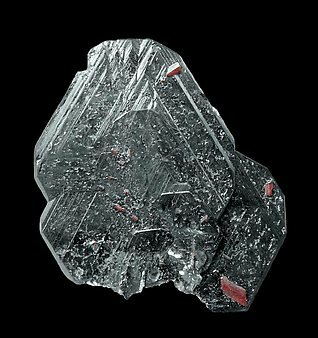 Very well defined laminar crystal formed by multiple growth and with very small red crystals of Rutile, prismatic and doubly terminated. 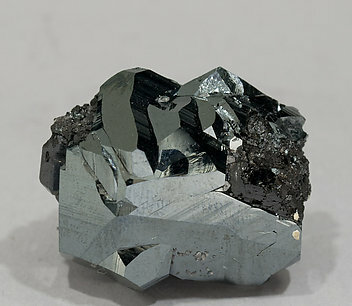 They are spread on the surface of Hematite. The specimen is from the Jan Buma collection (num. 941207) and we’ll send the card of the collection with it. Group of laminar crystals with very sharp edges and very visible triangular growth forms. 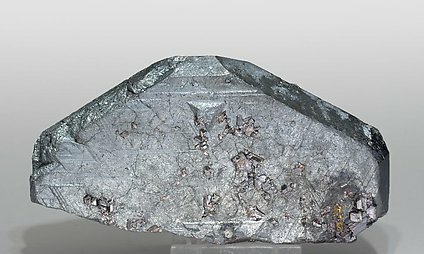 On the faces of the Hematite there are epitaxial crystals of Rutile of intense red color. The label reveals that it was purchased in Switzerland, from Allois Curschelos of Surrein, in 1952. 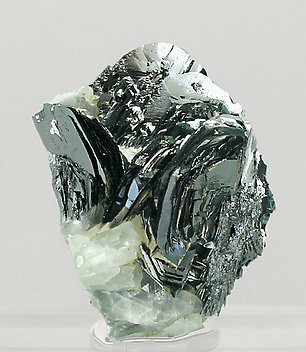 Laminar very sharp crystal of Hematite that has extraordinarily defined and bright faces. 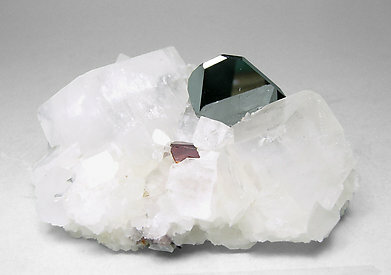 It is on a matrix of rhombohedral crystals of Magnesite with a small red crystal of Fluor-uvite. Just a nice piece. 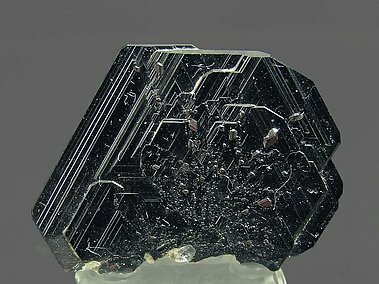 Floater complex crystal of Hematite with very well defined faces and edges and an extraordinary luster, with very well developed crystals of black Gaudefroyite that have a considerable size for the species and are formed mainly by the prism and terminal pyramids. 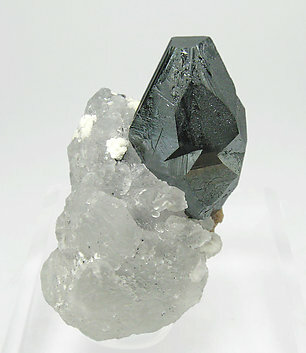 Parallel growth of sharp and bright laminar crystals of Hematite, on matrix, with Muscovite and Clinochlore. We especially note the Austrian locality, very uncommon. The sample is from a not well known Italian locality. It is a “rosette” growth of laminar crystals on Orthoclase (adularia) matrix.